Are your revenue cycle management systems underperforming and losing profits? Don’t worry; you’re not alone. Traditional medical billing services or in-house infrastructures are no longer working, and this is causing many healthcare professionals to be challenged in new ways by the complexities of an ever-evolving, multi-trillion dollar industry. Inexperienced staff, insufficient coding practices, billing errors, technological challenges, inaccurate data, workflow inconsistencies, declining reimbursements, and law breaches all play a role in poor RCM results. It’s no wonder why revenue cycle leaders are always looking for new ways to improve the financial health of their practice. But the reality is; improving systems and cutting costs within a healthcare organization is easier said than done. The truth is, revenue cycle management is one of the most challenging tasks for a healthcare professional to handle. Healthcare professionals often interact with several stakeholders before receiving complete payment for services. 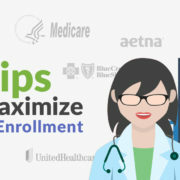 The myriad of payer rules for claims reimbursement, as well as the popularity of high-deductible health plans, has revenue cycle experts reaching out to several points-of-contact to obtain a portion of the payment. Let’s not forget coding accurately and auditing personnel — an often overlooked and under-considered facet of any healthcare practice. Even the most efficient RCM operations are vulnerable and often susceptible to insurance take-backs and fines due to poor coding. The truth is, revenue cycle management is one of the most challenging tasks for a healthcare professional to handle. 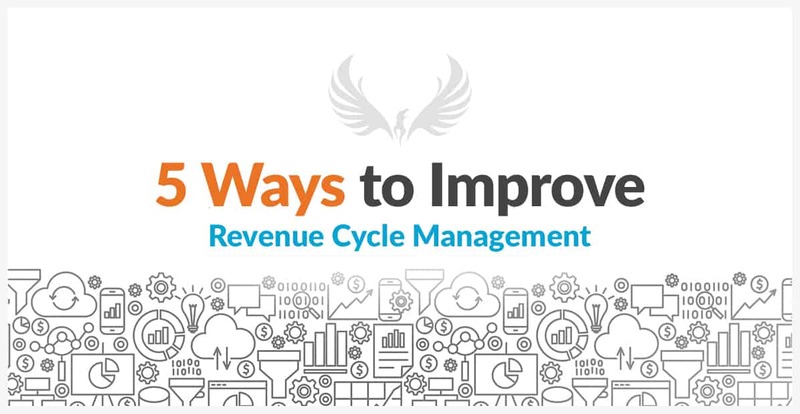 However, practice leaders can implement strategies for lasting RCM success, but before we delve in, let’s look at what happens when your revenue cycle management systems underperform. Ineffective RCM systems are not only affecting your bottom line, but dated billing methods are shifting the entire healthcare ecosystem. Below, are just a few areas in which less-than-efficient RCM systems are hurting your organization. Healthcare professionals that do not successfully leverage premium RCM tools could be putting themselves at risk for unfavorable outcomes, including being forced to close their doors. Data will tell you the financial health of your organization. Implementing a data-driven healthcare revenue cycle model will help your staff become more efficient in their efforts to perform tasks needed for fast and accurate reimbursements. Your data has to be viewed three-dimensionally. Having access to quantifiable and measurable statistics allows you to assess the health of benchmarks, trend lines, and performance indicators. Your organization should have next-generation dashboard technology solutions in place—with RCM experts that know how to combine multiple data silos. Nearly 75 percent of providers have reported a significant increase in patient financial responsibility in the last few years. Sophisticated data-tracking technologies are ineffective without top-notch experts that know how to manage them properly. Late and underpaid patient financial responsibility slows down healthcare revenue cycles — running the risk of never receiving full reimbursement for services. RCM managers can optimize patient collections by executing point-of-service or pre-service payment alternatives. The good news is that your organization can prepare for cost estimates by implementing the right software tools. Healthcare and its data have become more complicated than ever. Siloed data, cumbersome processes, changes in government mandates, poor business decisions due to compliance and payers issues, and a multitude of other challenges can get in the way of your organization’s RCM successes. The real advantage comes with having the right tools and strategies in place to get from information to insight to action! The only way to fully-optimize your revenue cycle process is to merge data, collaborate across departments, and to empower your workforce to ask questions and take action. 86 percent of medical practice leaders reported an increase in prior-authorization requirements in 2017. Having numerous RCM departments such as coding, payer enrollment, accounts receivable, denial management, and dashboards all under one roof, will ultimately inspire your team and improve your bottom line! A recent MGMA study showed that on average, 86 percent of medical practice leaders reported an increase in prior-authorization requirements in 2017. The surge of requirements could mean trouble for revenue cycles for practices and hospitals. Manual prior authorizations cost providers on average four times more than electronic prior authorizations, so switching to an automated system can save practices a significant amount of money over time. RCM managers and providers can ensure a smooth healthcare journey by switching to an automated process. Staff can focus their time on more important tasks, such as patient collections, and organizations can optimize their overall revenue cycle performance. Outsourcing coding and auditing tasks to multiple firms have become popular among practice leaders. But it’s not always the best option. As with any project or multi-faceted operation, the more hands on deck means a higher risk for errors. So, finding an organization that can handle all your revenue cycle management (and) coding and auditing needs is hugely beneficial. Furthermore, it’s crucial to hire highly experienced coding experts. The good ones will maximize revenues and reduce risks of breaching regulatory laws. Your RCM could be very effective and efficient, but incorrect coding could result in insurance take-backs and fines that would adversely affect your bottom line. Certified Professional Coders (CPC) and other accredited professionals who are experts in specific parts of the revenue cycle chain are not just optional, but a necessity towards an effective compliance program. Next-generation data-tracking technologies, increased collections, more patient payment options, better workflow, fewer write-offs, decreased accounts receivables, and balanced front and back-end functions are just a few of the benefits you’ll gain by working with skilled, experienced revenue cycle management experts. Is your practice worth it? We think so. Sometimes it’s difficult to know where (or when) to start. That’s OK. We’re here to help. Speak to one of our experts, or simply call us at 1-800-729-0976 to learn more about advancing your RCM system to a whole new level. Increase your bottom line — every time. Bring your data to life with our laboratory RCM solutions. Learn more. We have all the tools you need to manage payer relationships. Learn more. comprehensive integrated data-driven RCM services. Learn more. Stop wasting time on healthcare reform, and get back to delivering high-quality, patient-centered care. Learn more.